“Die Reise in die deutsche Vergangenheit ist nicht immer eine Vergnügungsreise” (a journey into German history is not always a pleasure trip) wrote Maik Kopleck, editor of the excellent Pastfinder series of travel guides. True, and to that I’d like to add that any trip in Germany, and especially in the East, always becomes a trip into history. 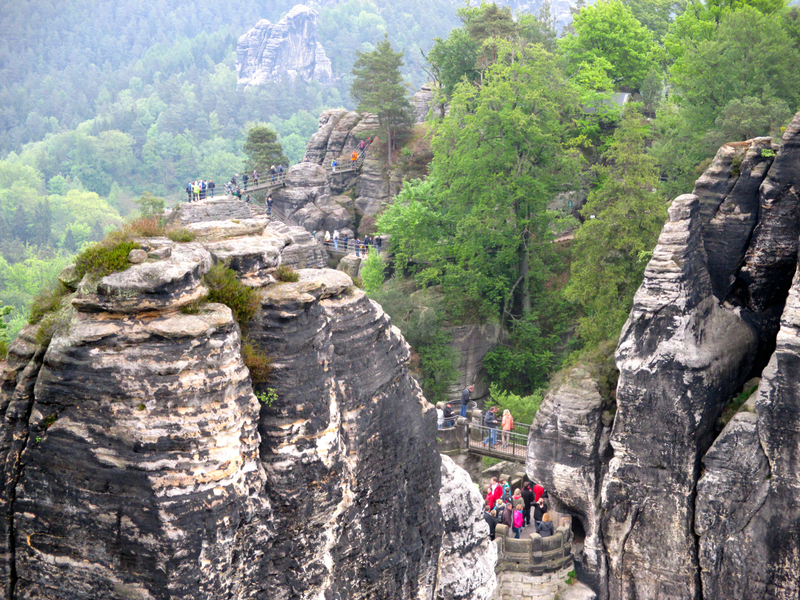 Take this weekend: we went to see the holiday region of Sächsische Schweiz (“Saxon Switzerland”). Its most famous feature is a scenic outcrop of rocks and boulders called Bastei that overlooks a picturesque stretch of the river Elbe, an easy day trip upstream from Dresden. There are many stone and metal bridges so that even hikers of moderate skill and fitness can see the sights. Picture-perfect Germany, and all relatively harmless, I thought. 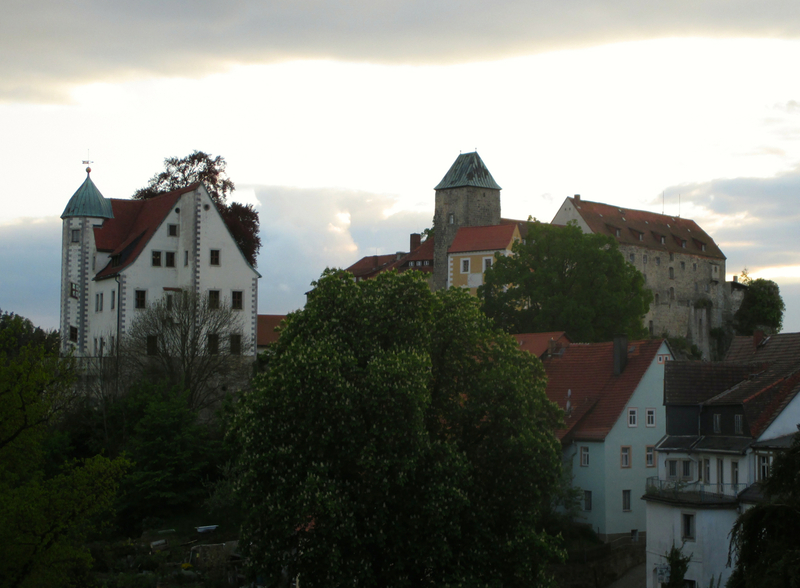 For dinner, we ended up in the local village of Burg Hohnstein – not very famous, at least I’d never heard of it before. Its castle perches high above the town and turns out to be the only one on the upper Elbe’s right bank that is not in ruins. We were able to take a quick look at the castle just before it closed to non-staying guests for the night (it’s a youth hostel). Outside there were some memorials and monuments. This monument was built by the GDR’s communist regime in 1961. 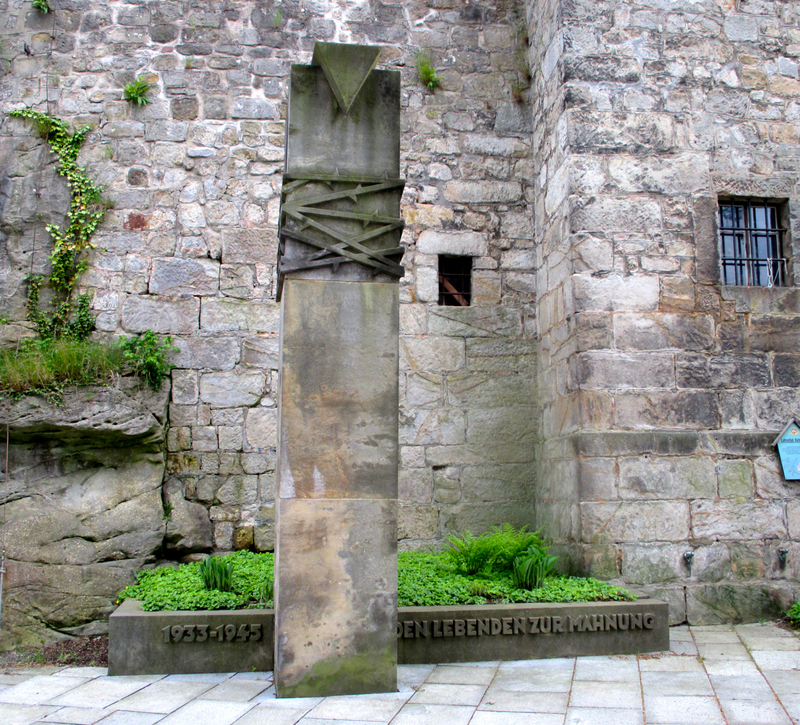 It is dedicated to “the living, as a warning” and refers to the use of the castle in the Nazi era. The first thing the Nazis did after coming to power in 1933 was to clamp down on their political opponents, mainly communists and socialists. 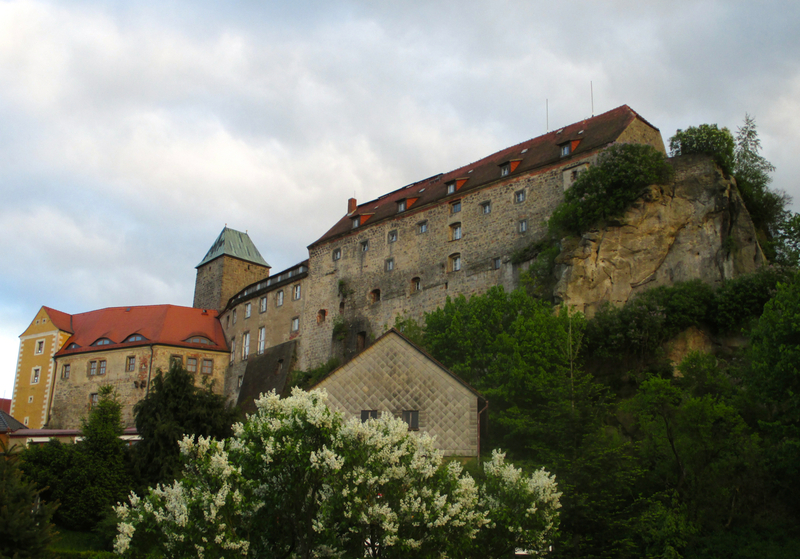 Burg Hohnstein (already a youth hostel before 1933, “the nicest in Germany”, according to one of the interpretive texts) was pressed into service as a prison for political prisoners, and became one of the earliest concentration camps. 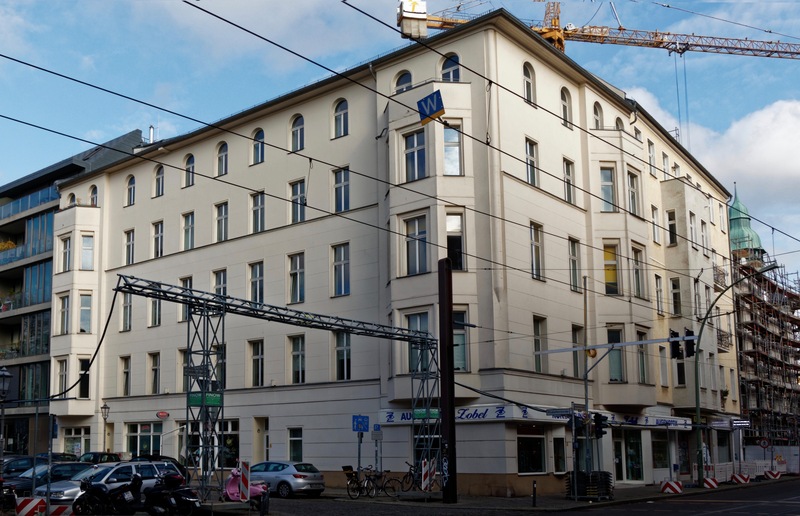 The facility’s first prisoner was Konrad Hahnewald, previously the youth hostel’s manager, imprisoned for refusing to hoist the Hakenkreuz flag. The fact that he was an official in the ADGB (the socialist trade union congress) probably didn’t help his case either. 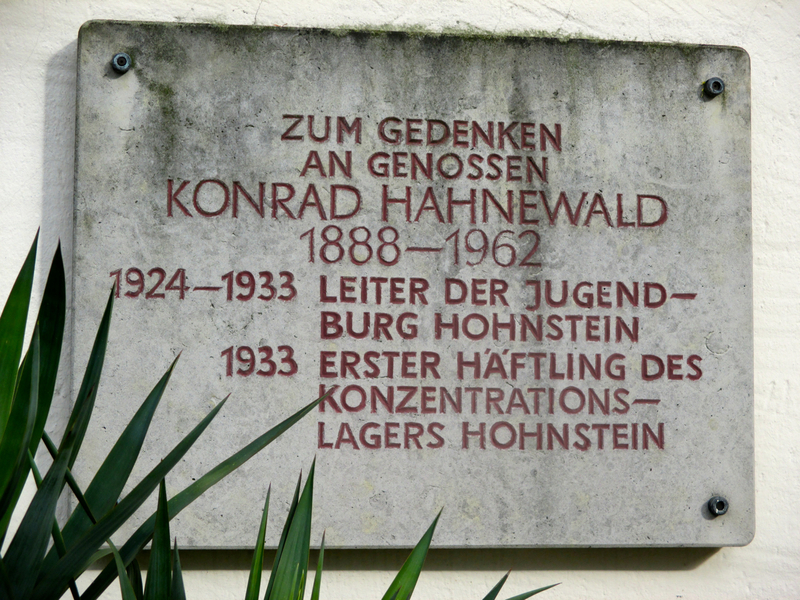 He was fortunate enough to be released later in 1933 but was banned from the town, joined a Dresden resistance group, and survived the war. 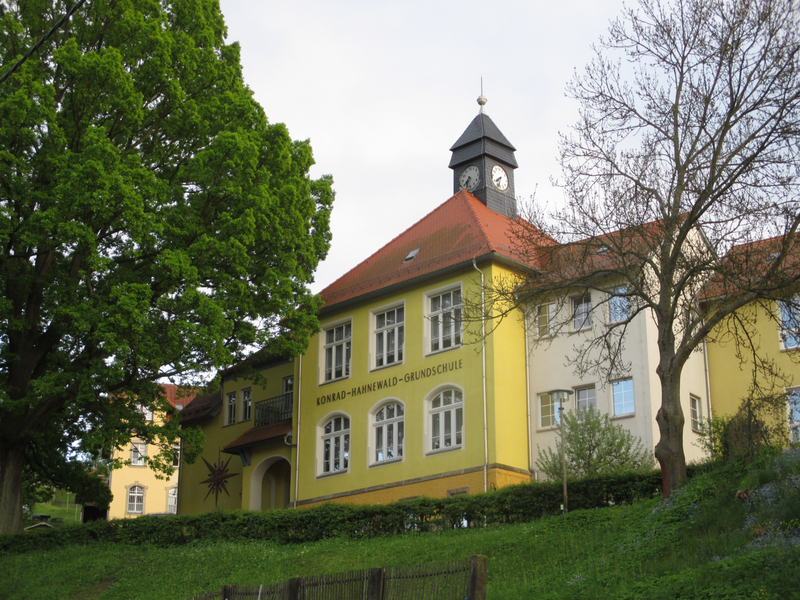 Today, Burg Hohnstein’s primary school is named after Mr. Hahnewald. On a totally different topic: for those of you old enough to remember Colditz, the castle may remind you a bit of the WW2 POW prison from the famous BBC television series. Well, totally coincidentally, from 1939 to 1940 Burg Hohnstein was Oflag IV a – and of course you know that Colditz was Oflag IV c. Before you ask: “but where was Oflag IV b?” – that was the Fortress of Königstein, just across the river from the Bastei. Maybe next time.